We sat on the lawn of the old school, watching the tiny black birds swirl around the tall, brick chimney. 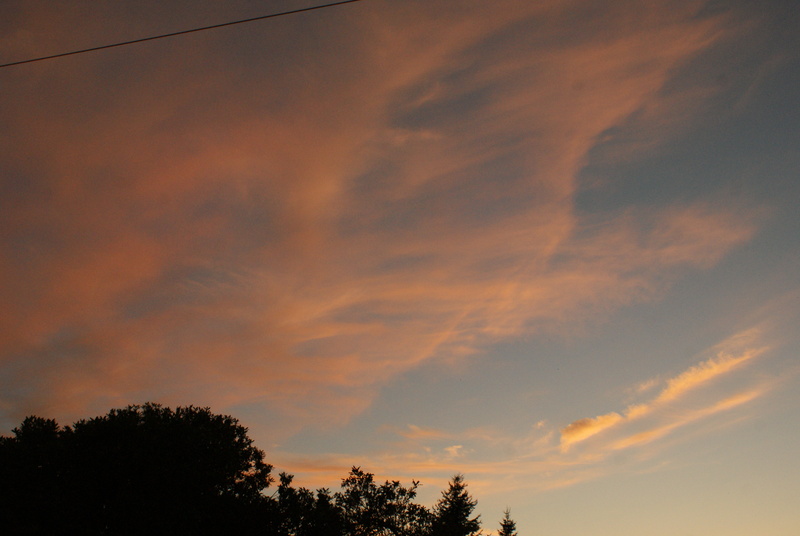 The sun was setting, turning the feathery clouds and haze from eastern fires pastel pinks and oranges. 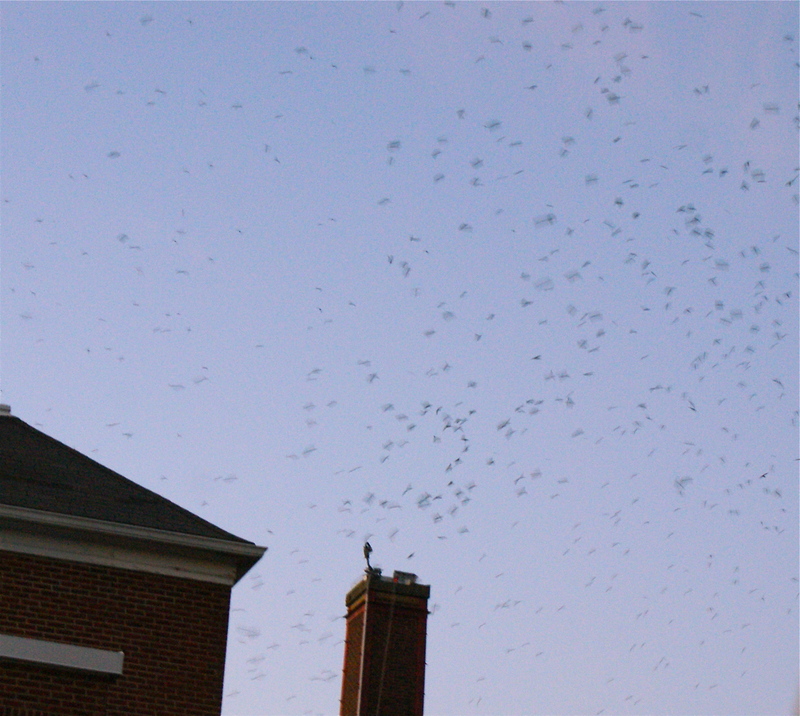 More and more birds appeared, as if from nowhere, somehow knowing where to congregate for the evening. The swifts were on their southern migration, and we were there to see them get ready to roost for the night. 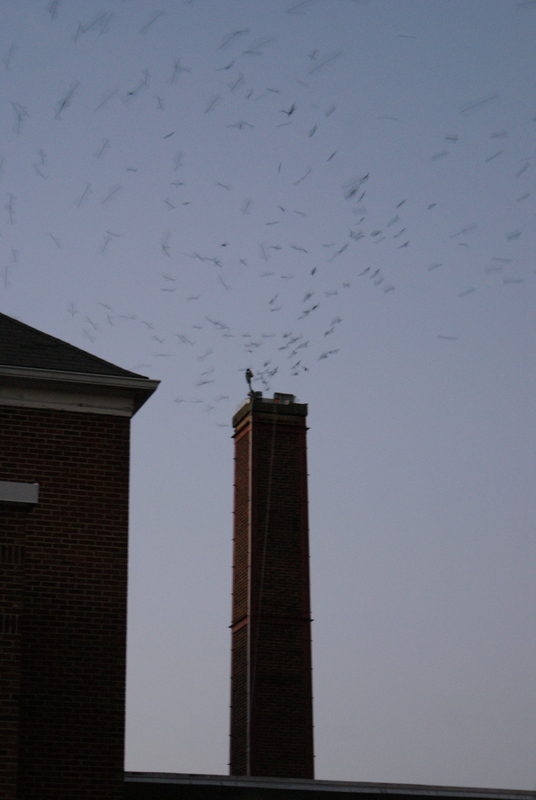 This was the first time our family made the trip out to Monroe to see the Vaux’s swifts dip into the chimney of the Wagner Center. A group of bird enthusiasts created an event to celebrate these tiny migrants, and to raise awareness among the public. 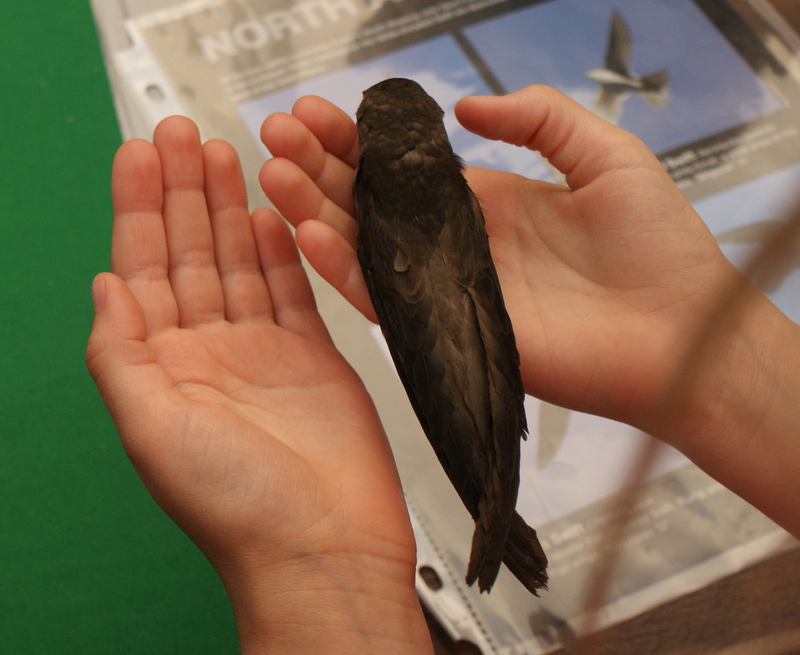 Annika holding a taxidermy swift – they are so tiny! 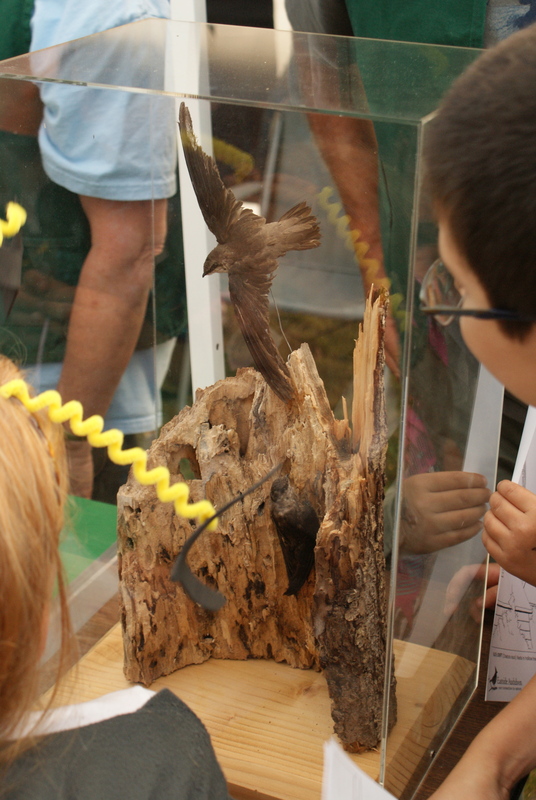 We visited some educational tables set up by various local Audubon groups and other related agencies. 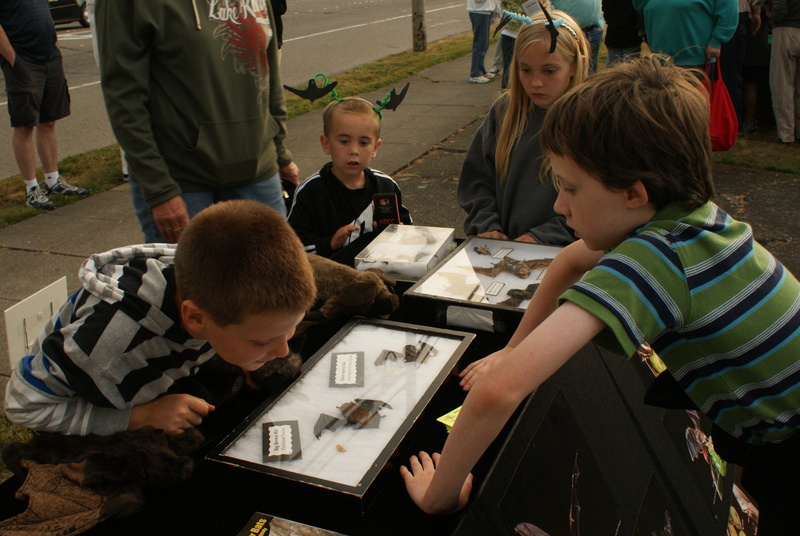 We got to compare all the bat species of Washington at the bat table. 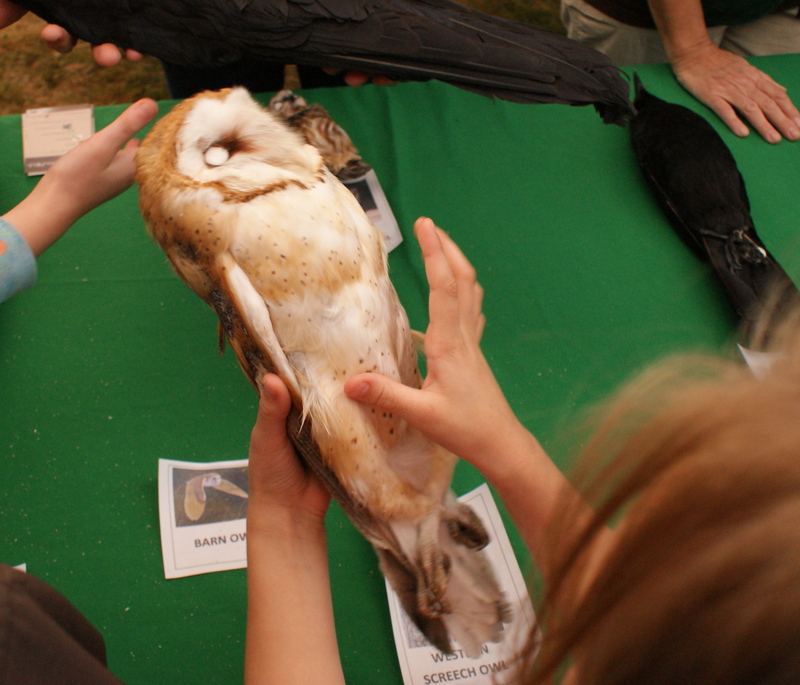 But the best table was the Seattle Audubon, which had real bird pelts the kids could pick up and examine. There was a crowd of fascinated children and adults around this table the whole evening as we waited for dusk to fall and the swifts to head into the chimney. We attended a lecture by one of the local Vaux’s swifts experts, where we learned more about these interesting birds. They migrate all up and down the west coast, spending the winters in Mexico or southern California. Historically they roosted in tree cavities, but with loss of habitat in urban areas, they have switched to using tall brick chimneys of old buildings. Birders can also see them come through in the spring migration, but in lesser numbers, since they haven’t had their babies yet. Vaux’s swifts aren’t able to perch like other song birds, because of the shape of their toes. They spend all day flying, catching insects on the wing with their wide open mouths. They are specially adapted to clinging to rough surfaces, however, and that is how they spend the nights, protected as a part of a large group inside whatever chimney or tree they can find. There are several places along their migratory path you can go to watch them. 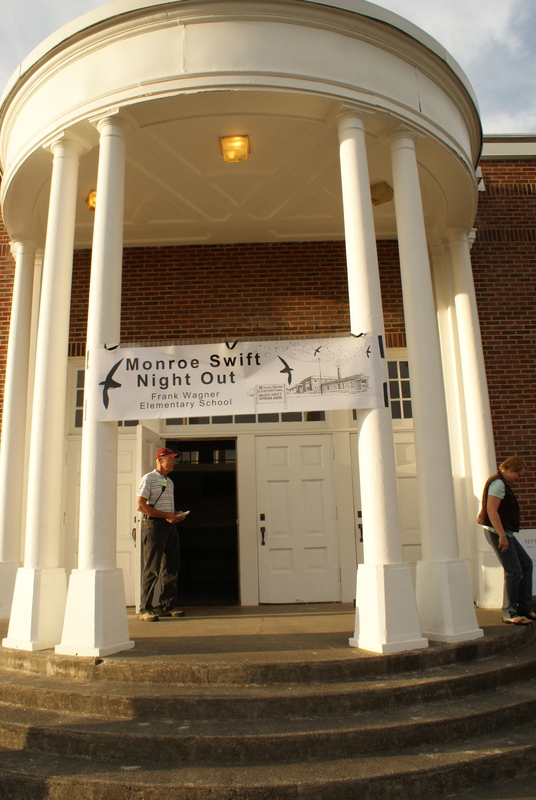 Monroe, WA – If you didn’t make it to Swift Night Out, but still want to see them in Monroe, there should be birds arriving through the end of the month. Check their website for updates. Skagit County, WA – A large number of birds arrive at the old Northern State Hospital. Read the article in the Seattle Times here. Portland, OR – The Chapman school has a month-long swift watch. 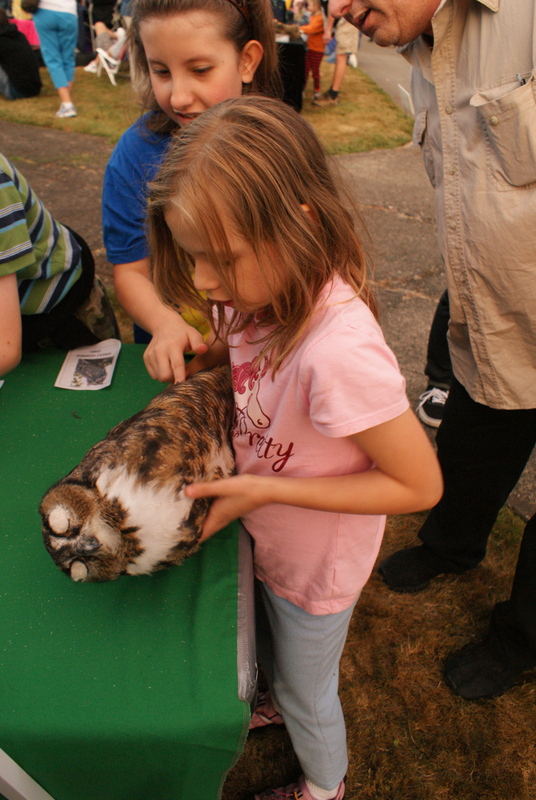 Go to the Portland Audubon website for details. Pilchuck Audubon members have put together a website with more maps and charts and scientific information, if you’re interested in learning more. Finally, as the skies were getting dark and the last of the color had drained from the clouds, the thousands of little birds somehow communicated to each other that it was time to bed down for the night. They formed a tight swirl, like an avian tornado, around the chimney, and took turns dropping backwards down into the chimney. The process took perhaps five minutes, until the last stragglers were able to fit themselves in, and the skies were quiet. So long until next year, little birds! Safe travels to you. Your article reminded us of the first time we saw the swifts gathering — we lived in Newberg at the time. They created quite a bit of excitement in town at that time. Thank you for expanding our knowledge of these birds. Oh, wow, I didn’t know they were in Newberg. DO you know if they are still there? I bet there would be people interested in that.